"The wicked plots against the righteous . . . They devise injustices, saying, We are ready with a well-conceived plot "
"Secret Societies" cost him his life! Five Decades later files still remain sealed for National Security reasons. If a lone nut killed him there is no threat to National Security. The only threat is the "hangman's tree" for those involved and are still alive. "The individual is handicapped by coming face-to-face with a conspiracy so monstrous he cannot believe it exists." J. Edgar Hoover, ex-FBI director on the New World Order conspiracy. 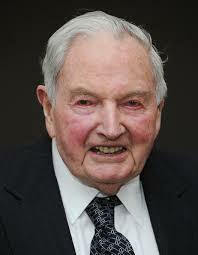 “The drive of the Rockefellers and their allies is to create a one-world government combining super capitalism and Communism under the same tent, all under their control…. Do I mean conspiracy? Yes I do. I am convinced there is such a plot, international in scope, generations old in planning, and incredibly evil in intent.”- Congressman Larry P. McDonald, 1976, killed on the Korean Airlines 747 that was mysteriously shot down by the Soviets. and exercise power from behind the scenes"
"We are on the verge of a global transformation. All we need is the right major crisis and the nations will accept the New World Order. " "For more than a century ideological extremists at either end of the political spectrum have seized upon well-publicized incidents such as my encounter with Castro to attack the Rockefeller family for the inordinate influence they claim we wield over American political and economic institutions. Some even believe we are part of a secret cabal working against the best interests of the United States, characterizing my family and me as "internationalists" and of conspiring with others around the world to build a more integrated global political and economic structure - one world, if you will. If that's the charge, I stand guilty, and I am proud of it." "We are grateful to the Washington Post, The New York Times, Time Magazine and other great publications whose directors have attended our meetings and respected their promises of discretion for almost forty years . . . It would have been impossible for us to develop our plan for the world if we had been subject to the bright lights of publicity during those years. But, the world is now more sophisticated and prepared to march towards a world government. The supranational sovereignty of an intellectual elite and world bankers is surely preferable to the national autodetermination practiced for past centuries. . . . In our dreams we have limitless resources and the people yield themselves with perfect docility to our molding hands." The Penalty for Treason is death!!!!! "A nation can survive its fools, and even the ambitious. But it cannot survive treason from within. An enemy at the gates is less formidable, for he is known and he carries his banners openly. But the traitor moves among those within the gate freely, his sly whispers rustling through all the alleys, heard in the very halls of government itself. For the traitor appears not traitor; he speaks in accents familiar to his victims, and he wears their face and their garments, and he appeals to the baseness that lies deep in the hearts of all men. He rots the soul of a nation, he works secretly and unknown in the night to undermine the pillars of the city, he infects the body politic so that it can no longer resist. A murderer is less to be feared." CICERO, 42 B.C.